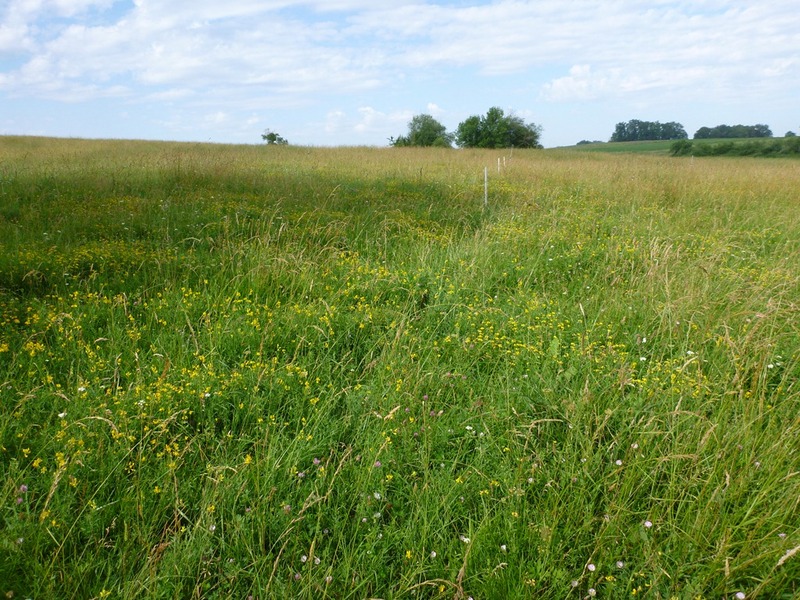 The herd is in a part of the farm that has become a center of growth for lotier, or birdsfoot trefoil. The cows love this stuff and it is in flower. It is fun watching the cows eat all the meadow flowers. There was a lot of buzzing around the lotier. 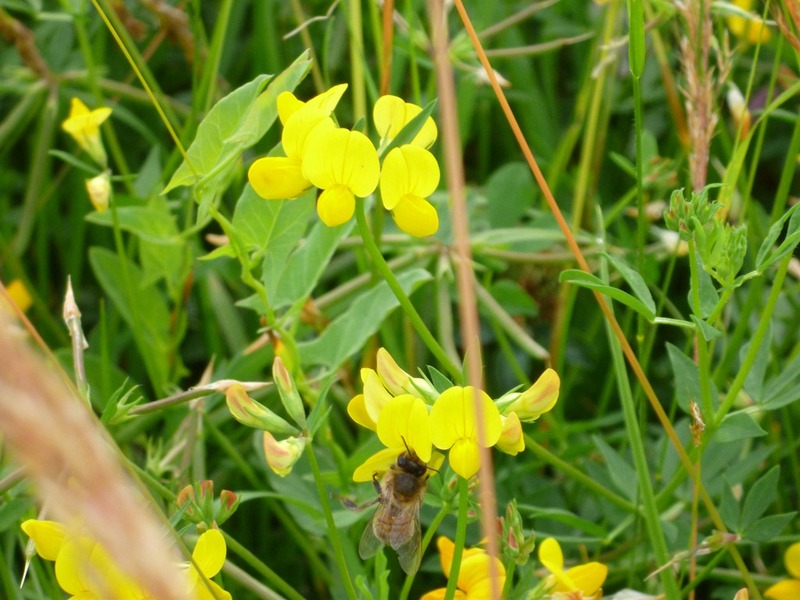 Since it is in flower there are a lot of bees of a couple of different kinds picking up the pollen. Eat up, bee. 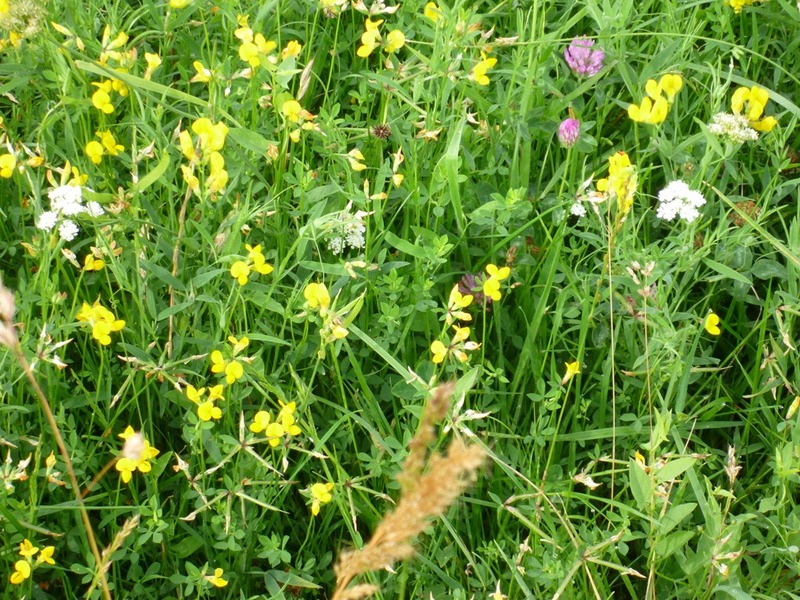 Here’s a wider view to see the mix of grass and legumes. Here the posts had been stepped in for the move but I hadn’t strung the wire yet. 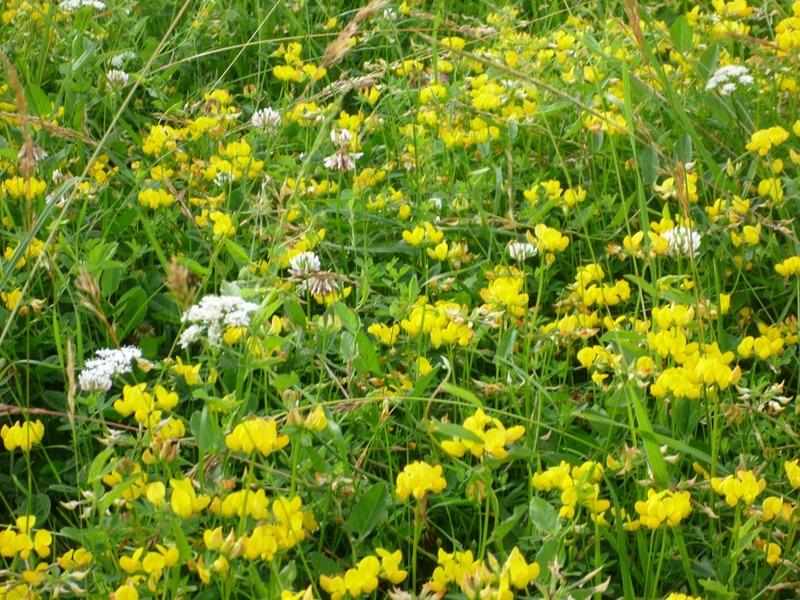 Along with the fresh new grass and the older, stale grass are three legumes: lotier, red clover and that mysterious wild pea. It is like a like minestrone soup for legumes. All the permanent pastures seem to be showing this crazy growth in legumes, although each has its stronger areas and weaker areas. There was far less lotier on the farm last year. We’ll see how the pastures change over the next few years. I’m envious and impressed with your legumes! I would love to have that much lotier on my farm. I think if you let it go to seed, it can spread in the cattle’s manure after grazing. Do you think this is what you did last year? You are definitely grazing more mature forages, which is the trend in the industry. There’s not a lot I can say in explanation. Two years ago it was tired and weak and mossy. A year ago it was at the pits of despair with the drought, but it had a few legumes. 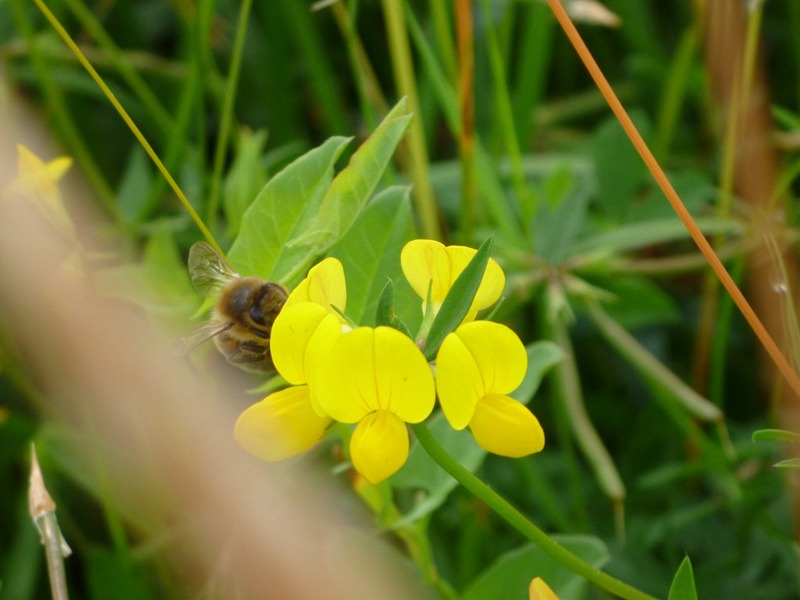 This year the legumes have gone nuts and the grasses are much more dense with more plants per square foot. That is two years since the last nitrogen fertilizer or haying to get these legumes to this point. My dream is to both be more drought resistant and have green grass through the summer as well as being able to stockpile and feed less hay in winter while still running a full-size herd. Sophie, NY state was one of the places we were thinking of locating! But we ended up out here instead. I was checking out your blog and being amazed at the work in the photography. The header one with the pigs is awesome and the whole collection is impressive.